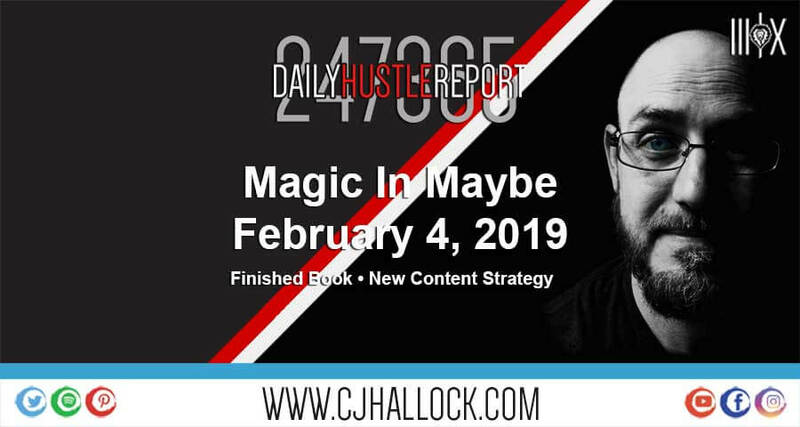 So I’ve decided to move forward with not only the video & podcast of the “Daily Hustle Report” but I’m also going to be doing a blog along with it … but this is where the blog is different. I’m going to be setting the blog in the morning and write my random thoughts throughout the day… & THEN… I’ll use the blog as the topics to discuss on the video/podcast … So we’ll see how this goes! First things first, The Superbowl! The main thing I was looking forward to this year was going through the commercials and writing up a blog post on the best commercials and their marketing strategy on social with the “follow up” but I want to be honest. I was FAR FROM IMPRESSED! & I’m pretty sure I’m not the only one … What was that? But as far as the game goes … The Huskers were represented! Either way a Husker was going to be a Super Bowl Champion! So… Way To Go Rex!!! Just finished writing, editing & submitting this month’s book for publication. It is titled “Naming a Brand” and includes a workbook style so people can use it when naming their online brand. I love the way the cover looks … now just to see the proof and wait for it to get approved! Spent some time working on a few client websites. FYI … If you are working on installing an SSL and can’t figure out why your site isn’t showing up secure … WhyNoPadlock.com is A LIFESAVER!!! Just put your domain in and the software will go through your site and give you a list of everything you have to fix in order to get your site 100% secure and receive that “Green Lock” we all want! I think best when I’m in the shower! Sometimes I think a steam room would be the best investment in myself. But, I’ve felt that way for years. The first time they met, the boy was in love. He went to school with the girl and saw her almost every day. One day he grew the courage and wrote her a note. He held onto that note all day like it was the key to his existence. At the end of the day he finally got the courage to give her the note, as he blushed and ran away. The next day she walked up to him and returned the note with a smile on her face like the only thing she knew was mischief. He held that note until he had a split second of privacy. He unfolded the note to find something added to the note, a circle. But the circle wasn’t around yes and luckily it wasn’t around no. It was around a new word that she wrote in herself: Maybe. This exchange happened a few more times over a few weeks until she actually said yes. Years later, this exchange happened again as the boy who grew into a young man decided to ask the girl to marry him. He asked and she told him “maybe”. After years of being together he didn’t know why the answer wasn’t “YES”. Days went by and he asked why she had said maybe and she replied. If you know you have something, you don’t have to pursue it. If you know you don’t have a chance at getting it, you’re most likely to not pursue it. But if you know you have a chance at obtaining it, you will almost always pursue it. If you really want it, you will pursue it with passion. The “boy” inside the young man reminded him the passion he put behind the creative drawings that he added to the notes and the stickers he added to the notes over and over as he tried to get the little girl to circle yes. The power behind his passion to pursue the attention of the little girl was knowing he had a chance. In life, we may not always get a yes or no. Sometimes we will get a maybe. If you do, remember that there is magic in the word maybe. Use that magic to build on your relationships in your personal and business life and remember the following phrase. Maybe is not no. Maybe is a gateway to yes. Maybe is only a request to be pursued. Use the maybe to feed your passion and push forward.